3.9 in. AUS 8 stainless steel, combo blade with false edge and a 5.3 in. charcoal gray anodized, and contoured aluminum handles. 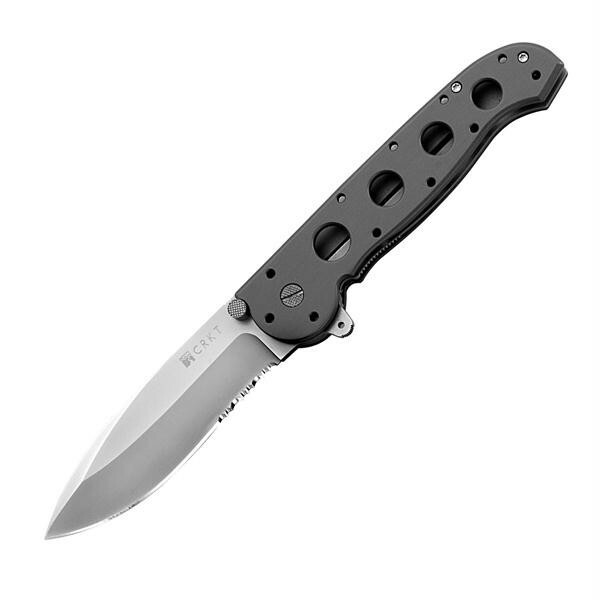 Overall length is 9.3 in and includes a carson flipper, a liner lock, AutoLAWKS and a pocket clip.